When wearing dress pants or casual pants, apart from jeans, the color of your dress socks should be dictated by the color of your pants, not by the shade of your shoes. 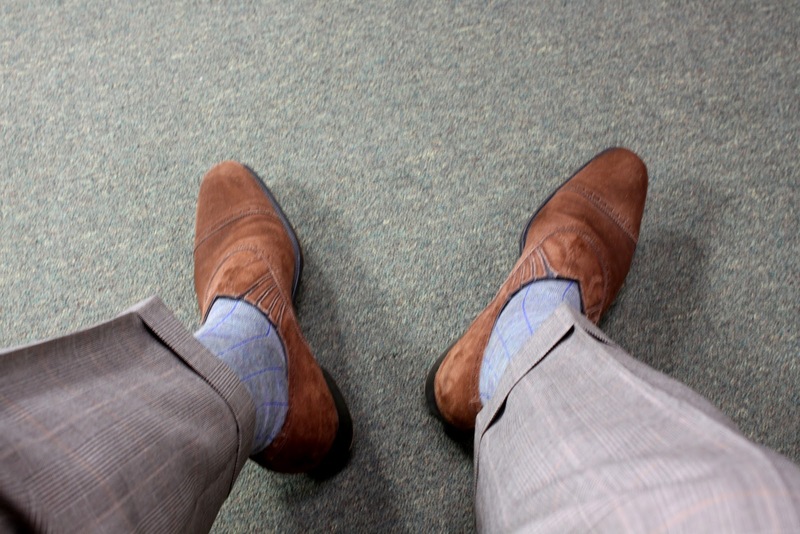 Black pants should obviously go with black socks, and brown pants with brown socks—the same goes for blue and gray pants. 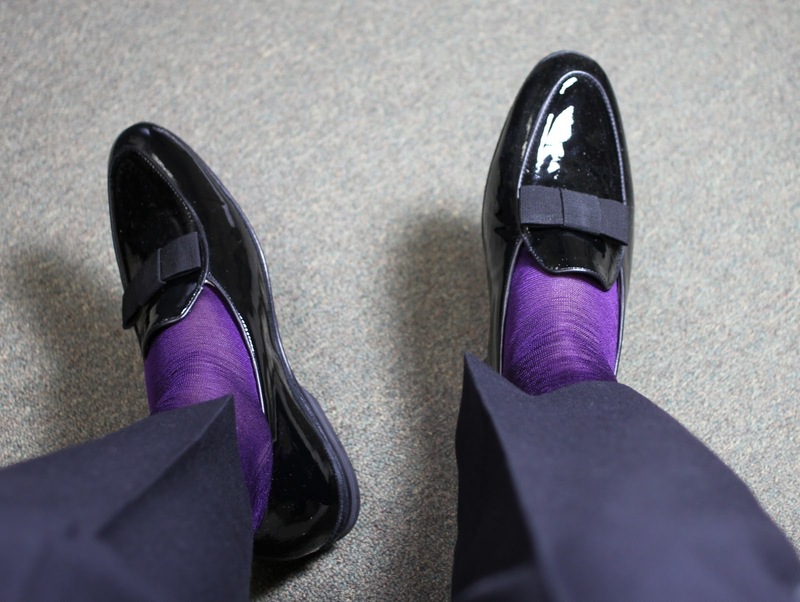 Ultimately, your dress socks should be an extension of your trousers through their color tone. 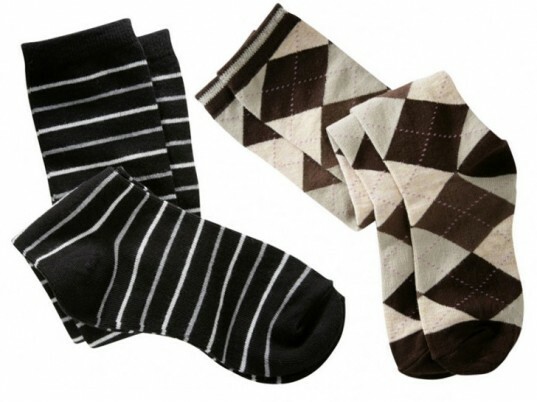 Choose your dress socks carefully for pants of different hues: if you are wearing a pair of dark green pants, or a unique shade of brown, try a few pairs of socks to determine which socks match your pants best. If you are in doubt, darker colors usually work better or choose a patterned pair that features the unique color within it. The reason for this is simple: when you have to take your shoes off or sit down, your socks will be exposed. 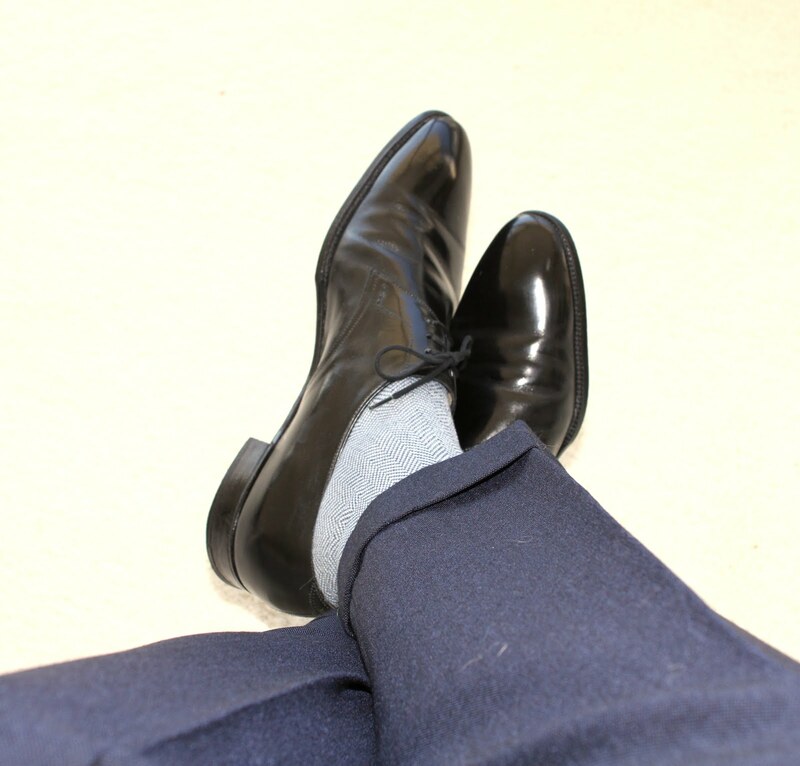 Socks that coordinate with pants create a fluid appearance for your outfit, and socks that don’t match your pants will break up an otherwise perfect ensemble.